Mags will be presenting, The Power of DNA, to the Merrickville and District Historical Society Annual General Meeting. She will discuss the nuts and bolts of how DNA and genealogy can move family histories forward. The DNA of one of Merrickville’s founders may make a special appearance during the talk. Please contact the Merrickville and District Historical Society for more on the Annual General Meeting. 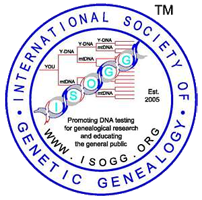 Mags will be presenting a nuts and bolts genetic genealogy talk, The Power of DNA, at the Merrickville and District Historical Society AGM on November 27, 2018. She will be discussing the nuts and bolts of how genealogy and genetic genealogy work together to help family research move forward. The Talk will include a few interesting DNA tidbits about Merrickville’s famous founder. This Event is a part of the Merrickville and District Historical Society – AGM. It is not a public event.